A durable power of attorney is an important legal document that grants another party the right to act on your behalf in many legal matters. Understanding exactly what this means and how it will impact your future is essential. This post provides a brief introduction to what the durable power of attorney is and some key points about how Florida courts will look at it. If you grant another party the legal right to make certain decisions on your behalf, it is known as granting them power of attorney. In most cases, the individual will be able to make legal and financial decisions without first having to consult you. A general power of attorney will become void should you become incapacitated, but a durable power of attorney remains in place. This is an important distinction that will help you to choose whether or not the durable option is right in a given case. The one type of decision that an individual with a durable power of attorney can’t make on your behalf is those related to your medical care. If you become incapacitated, the individual named can’t decide what treatment you will receive or make any other health-related decisions. If you want someone to make these types of decisions for you should you become incapacitated, you’ll need a separate document known as a medical power of attorney. You can choose just about anyone who is a legal adult to have power of attorney. In most cases, however, you will choose someone who you are not only able to trust, but also has the experience needed to make important decisions on your behalf. This could be a close family friend, an attorney, or other service provider who specializes in managing estates. When someone is granted power of attorney, they have a fiduciary responsibility to act in your best interests. This means that they must put your needs ahead of their own whenever making decisions on your behalf. If it can be shown that they were self-serving in any of the decisions they made on your behalf, it can come with serious legal consequences. Giving someone a durable power of attorney is a big decision, and not one that should be taken lightly. If you are planning for your future, and considering using this type of legal document, you should speak with an experienced Florida estate planning attorney before making any decisions. 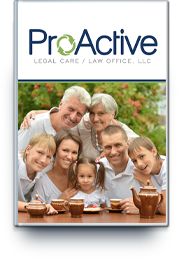 Contact ProActive Legal Care to get answers to your questions, and to create the durable power of attorney that you can rely on.